Where's the roof on stadium features? In the world's most attended sports league (by match attendance) the issue of size isn't everything, as is proven by tendency to build smaller stadia today than 20-30 years ago. We don't mean the Bundesliga of course, rather the American NFL. It's a league that has to compete with one major rival: staying at home. That's why cosier stadia of 65,000 are pushing out the larger and older ones. 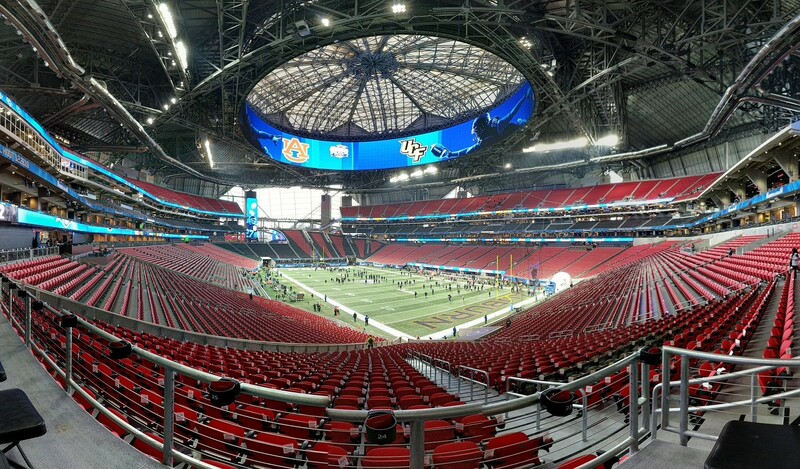 Why we have retractable roofs on top to control weather, why seats are getting wider than before and hospitality options now range from classics like an intimate private box, through semi-private living rooms or touchline suites to a swimming pool in Jacksonville or open pub overviewing the field, the latter being a new standard for both NFL and MLS. And there seems to be no stopping for some investors who try to squeeze even more out of fans visiting games. In Philadelphia, after numerous setbacks, the plan of building a stadium casino beside Citizens Bank Park and Lincoln Financial Field is now moving forward. 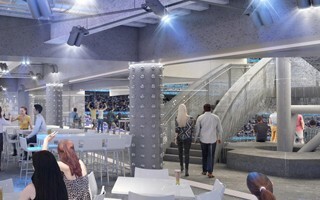 Worth noting, the casino will replace a Holiday Inn hotel, more traditional stadium-related business. It seems just a matter of time before the nearby 2,500-square-meter sports betting hub goes out of business since all accumulator bonusses can easily be used online with in-stadium 4G (and increasingly 5G) internet access both in American and European stadia. For American superstadiums it still seems that sky is the limit. Even the Mexican national football team is moving some of its matches to AT&T Stadium in Texas until 2022 from the legendary Azteca. Minnesota's U.S. Bank Stadium is now getting ready to its first ever basketball extravaganza, while Atlanta's Mercedes-Benz Stadium is sold out for MLS Cup Final, about to break all-time record for the “soccer” league's final game with expected turnout of 70,000+. Speaking of Atlanta, their newly formed team is already among global football's most supported in terms of regular attendance. It only begs the question: where will it stop? It seems we may find out sooner than later as two latest most expensive stadiums ever are about to open. With features unseen before the new Las Vegas NFL stadium and Los Angeles Hollywood Park development are raising quite a few eyebrows. But aside from praise the $1-billion-club stadiums are raising some questions about financing. If anything, this may become a limit on spending and new features as US taxpayers are growing more and more upset with public authorities subsidising stadiums for billionnaire owners while regular residents have to take loans or sell cars to later afford personal seat licenses in these stadiums. In fact, most MLS or NFL stadia are no longer directly subsidised by authorities, which is true for both the Las Vegas and Los Angeles giants being built. But there are secondary costs still carried by authorities and tax exemptions or reliefs are practiced. Even though it's far less than previous stadium investors were able to enjoy, the public scrutiny – including that in mainstream media – seems to be growing constantly.